One of this year’s big cocktail trends is food pairing: creating a cocktail with a little inventive snack to accompany it, so that the flavours perfectly complement each other. Add 1/2 cup corn kernels to a popcorn maker machine. Pop the corn and store in an airtight container. (Good for 12 hrs). 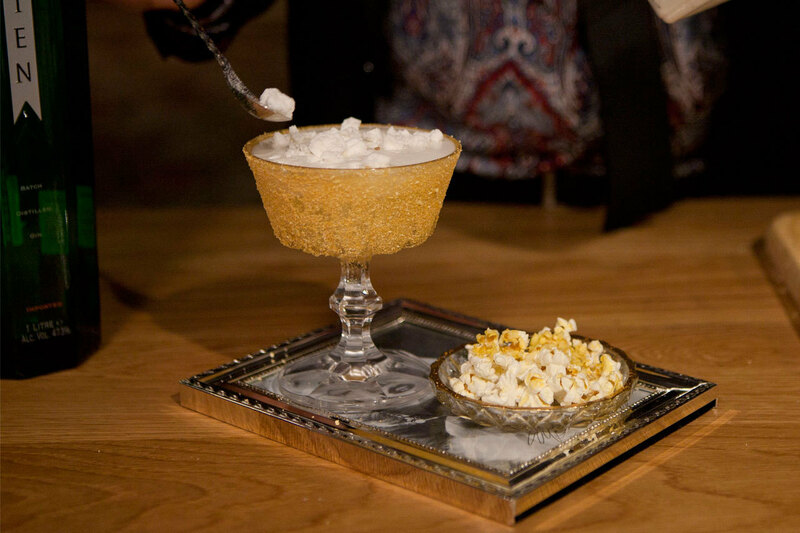 To serve add 1/2 cup popped corn to a glass ramekin and spray with the saffron syrup from an atomiser and sprinkle with a pinch of salt.